More often than not, new marketers are confused why influencers are not responding to their emails. After all, influencers are looking for brands to pay them, aren’t they? There are are basically two reasons why influencers don’t respond to as many emails as you’d expect. You’re competing with some big companies. If you’re reaching out a fitness influencer on Instagram with 100k followers, she’s probably already been contact by Adidas. How are you supposed to compete with that? You can either outbid their CPM, or you can just look at more influencers until you find one that isn’t working with an international brand. This is why at Shout, we don’t offer small plans. You need to contact a bunch of influencers before you get a response, and it’s just not feasible sending emails 1-by-1. Influencers are used to low-ballers and time-wasters. So you need to differentiate yourself from them, assuming you’re not one. There are mainly three things you can do to show you’re serious. Have a large company brand or domain name. The marketing directors at Walmart have no issue getting a reply when their email is as prestigious as that. The lesson? Stop sending with your @gmail.com account! You need a branded company email. The brand name needs to be good too, but it’s a little too late to change that. Link your company’s social profiles in your professional email signature. Include your position at the company. It shouldn’t be CEO, founder or anything that resembles you’re probably a one-man shop. Besides, we all outgrew the “I’m my own CEO” stage back in high school. Make a real position for yourself. First and last name, the works. That email signature should pop. Use professional, well-written, short language. Don’t write them a life story. They don’t care and they don’t have time. They are micro-celebrities in the very least and have hundreds of people messaging them per day. They have fans, and tire kickers, and the whole nine yards. Keep it short. Write proper, professional English. Use a strong vocabulary. You are displaying your maturity and prestige – something 90% of the influencer’s inbox lacks. Send them money. Of course you need to vet them, but make the relationship happen. Don’t drag it out. If you’re serious, buy a post. If you’re not serious, end it and move to the next. By the 3rd or 4th email, you should have them paid. Anyone who takes longer is not serious, or can’t afford to be in the game, and the influencer knows it. They push tire kickers to deleted folder several times an hour. Show you’re not one – pay up. Generally a one-post promotion with someone under 500k followers is pretty affordable for any small business. After you pay, you can ask more questions, before or after the promo, but get the money to them. Here’s a checklist. Count how many times you say no. Do you work for a Fortune 500? 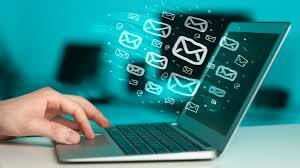 Are you emailing from a company email? Do you have a professional email signature? Does your email signature have a corporate title that’s not CEO/founder? Do you link to your social media profiles? Do you post actively on social media profiles? Do your social media profiles have tons of likes and followers? Is your email under 5 sentences? Do you use a vocabulary above the level of a 6th grader? Did you use a serif font like Times New Roman? Did you try to send money within the first 3 email responses? Each no is another reason for them to not respond. Some of these points you can improve on, others you won’t be able to. This is purely an explanation of the market from my experience and does not resemble the behavior of all influencers. Influencer marketing, like all lucrative marketing, is not easy and requires actual work.